As qualified nurses, therapists and doctors move from service delivery into strategic and managerial roles, many join MiP to access the support and services they need in their new positions. 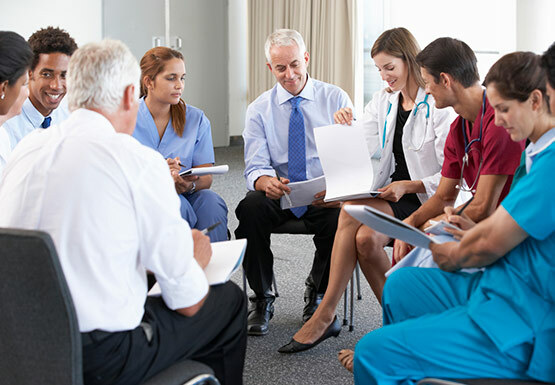 Working with the clinical unions and professional bodies, we ensure that our clinician members are as well supported and protected in the management aspects of their jobs as they are in their specialist professional development. MiP fully supports the move to bring more clinical expertise into health management, and works to ensure that senior clinicians are supported through the unique challenges of management roles – which bring a unique set of legal, organisational and professional risks. Our specialist services have attracted a range of senior clinicians, such as lead nurses, nurse ward managers, clinician therapy service managers, and qualified doctors working in managerial roles. 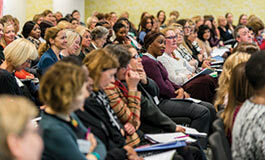 Many are also members of clinical unions, including the Royal College of Nursing, Royal College of Midwives, and Chartered Society of Physiotherapy. And we work in partnership with these organisations to protect and defend our members – both in their interactions with employers, and in relation to regulators such as the Nursing and Midwifery Council. As well as our members within NHS trusts, MiP also serves senior clinicians working for private and voluntary sector health providers, and for commissioning bodies such as CCGs. Mersey Care’s HR director Amanda Oates tells MiP how adopting a ‘just and learning’ culture has cut disciplinaries by 80% and improved patient care. Telemedicine could bring huge benefits but, managed badly, we could end up combining the worst aspects of private healthcare and public-sector IT. Marie Gabriel, the chair of East London NHS Foundation Trust (ELFT), led a Management Life workshop on promoting staff health and wellbeing at the MiP Members’ Summit on 6 November. Managers and doctors from Ipswich Hospital tell us how they joined forces with local partners to dramatically reduce their bed blocking problem. How the struggling gastroenterology department at St Mark's Hospital worked with patients and quality improvement managers to deliver dramatic results. NHS guardians have a tricky but powerful role in tackling poor care and boosting staff engagement. National Guardian Henrietta Hughes speaks to Healthcare Manager.